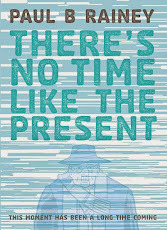 The roll out of part 10 of There's No Time Like The Present continues. Copies can now be bought from GOSH in Central London and OK Comics in Leeds. Waterstone's Midsummer Place, Milton Keynes. And of course, both Book of Lists and TNTLTP 10 are available directly from me here using Paypal.